Our family has made a tour in Iran in the first 10 days of May 2018. We were looking for a bit of adventure in an ancient culture unknown to us. 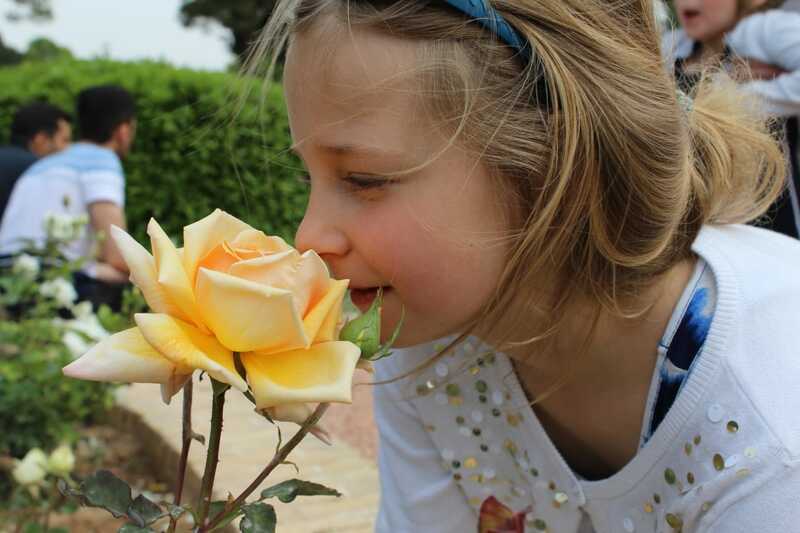 To experience something special, but not too far away from home and safe enough for us and our two young children Josephine (8) and Mathilde (6). On an initial exploration of the Internet, we read many enthusiastic stories about Iran. We found an Iranian travel agency, aptly named ‘ Friendly Iran ‘. Via Mail and WhatsApp, we composed an attractive journey with advice from our Friendly Iran travel agent Samane, also suitable for our children. Friendly Iran has booked for us all Hotels (with breakfast) and arranged all transport with taxis (and 1x Night Train), also to all sights. That all went well and in consultation with the driver we also adapted the program every now and then. For example, just relax in a park if we or the children were tired, instead of a planned visit. We stayed the first two days in Tehran to ‘ land ‘. Our Hotel Hejab was conveniently located opposite the large Laleh park, where the children could play. Really an oasis in the hustle and bustle of the city. For the children, the Mirror Palace and the young kittens in the Golestan Park were fun. And they certainly remember making fun and playing hide and seek with the guard of the Reza Abbasi Museum, where we have seen a beautiful collection. There was also time to go up the big Tower ‘ Milad ‘ for a magnificent view of Tehran. And to see, in our notion, the chaotic traffic from above. Our tour went after Tehran via the cities of Shiraz, Yazd, Esfahan and Kashan. A ‘ classic ‘ round it seemed afterwards, so evident from the meetings with other travellers in the hotels. From Tehran train station we left at the end of the afternoon by night train to Shiraz, which is about 900km to the south. Train travel is really something for me, but I believe there are more people that have an adventurous feeling with the idea of travelling through the Persian night by train. Ok, it was not a new train, but we had clean bed linen and the chicken with rice and salad that we got tasted very well. We talked a lot with other travellers in the wagon, like the boys who were with their teacher on a school trip and with the owner of an English language institute from Qom. All curious in our opinion about Iran. 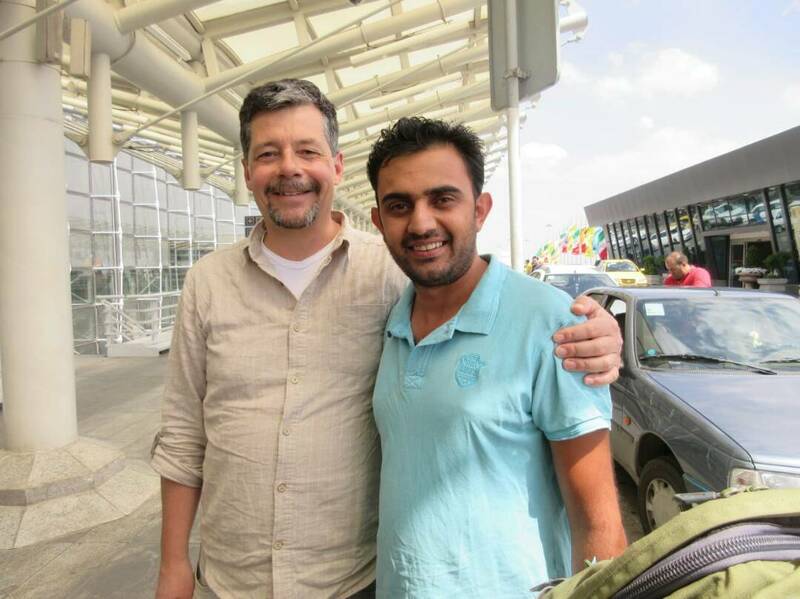 From Shiraz on we had a good English-speaking driver, named Mohammed Dehghani. It is really nice if you can communicate well with your driver and that he also feels where the children (and parents…) are on. We certainly had such a good driver with Mohammed. He also had young children and found it extra fun to travel around with our family. He was not only a driver, but also our interpreter, money changer, negotiator and consultant in many areas. We spent a lot of fun hours in his white Samand taxi, and the girls in the backseat and me next to him. We did not have a fixed guide for our entire travel program, but with help of the driver and via Friendly Iran we hired a guide for places where it was necessary. 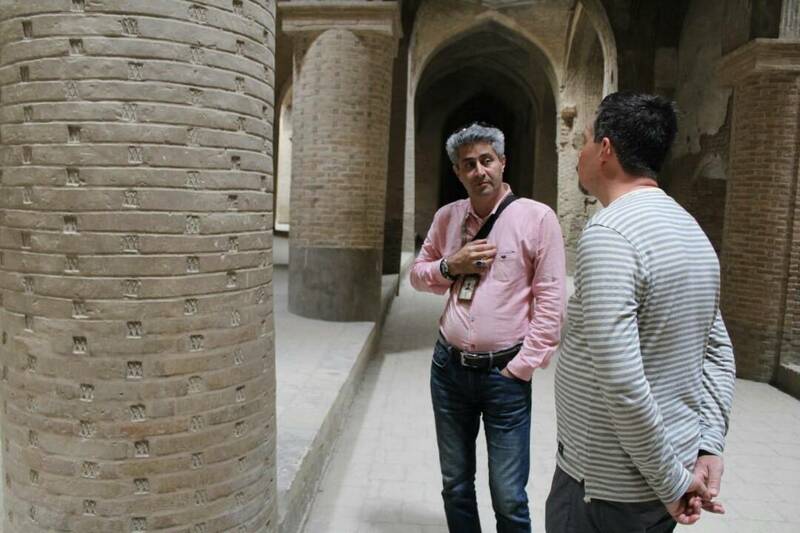 For one day we had a very good guide in Esfahan, Mr. Peshman Azzizi. In Shiraz we stayed at the Niayesh Hotel, with beautiful stained glass, romantic indoor places and exciting passageways all of which were explored by our children. In Shiraz we visited several beautiful mosques, the Vakil Bazaar and the Naranjestan Palace. The next day we went on excursion to Persepolis, where we had our own guide. The palace ruins of Persepolis are really quite impressive due to its size, old age (2,500 years old) and beautiful reliefs and statues. The children also found the fantasy creatures, like the sphinxes, very beautiful. In Shiraz we also ate in the family home of our travel agent Samane, together with her mother, sisters, a few colleagues and a colleague’s nephew. I helped a little with cooking. The mother of Samane had prepared a dish called ‘ Fesenjan ‘, with chicken, pomegranate syrup and walnuts. We ate together sitting on the ground, on a Persian carpet. Our children played with the sisters of Samane and with the nephew of her colleague. The day after we went to the town of Yazd, which is close to the desert. En route along the tomb of King Cyrus the Great (of which Josephine later bought a snow globe as a souvenir) and drank tea in a tent with a nomad family with sheep, in a beautiful rugged area. With a picture of us in traditional attire and for the kids a nice bracelet. We discovered that there are more types of pistachio nuts. In Yazd we stayed at the Royay e Ghadim Hotel, again with a beautiful courtyard. We have climbed the ‘ Towers of Silence ‘ with the children, the place where the Zoroastrian community brought their dead. Impressive to stand on top of the towers and know the story. Near Yazd we have visited a desert camp and made walks, the children also on a camel. It felt really good to be ‘out’ in the desert; sleigh riding and rolling down from sand dunes for tour children and we all enjoyed the sunset. We ate in the evening at the campfire, until suddenly a violent thunderstorm with sand storm drove us inside. Definitely not good for people with contact lenses, like me. From Yazd, Mohammed brought us to Esfahan (Isfahan). 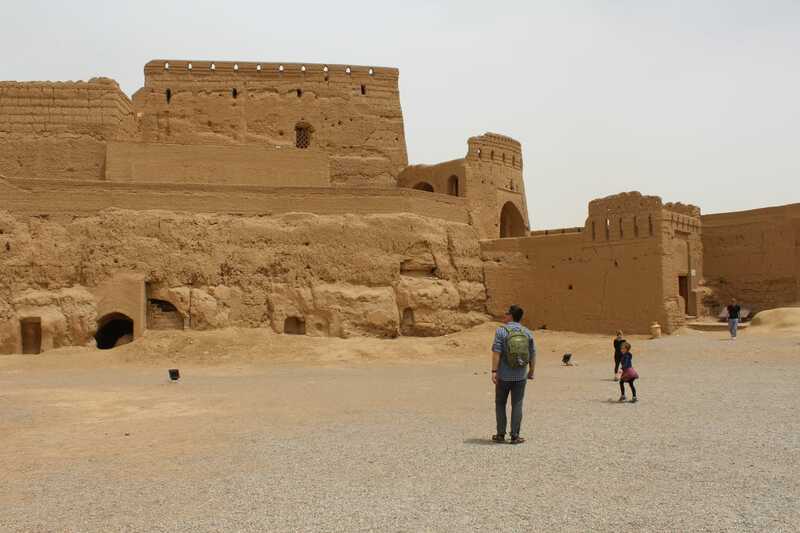 On the way in the town of Meybod we visited Narin castle, the first parts of which could be built 4,000 years b.c. The legend wants this castle to have been inhabited by King Salomon. In Yazd we stayed in the Atiq hotel, with an excellent breakfast buffet and again a traditional palace with beautiful courtyard. Esfahan impressed us with its beautiful large squares, bridges, beautiful mosques and palaces. We also visited the Vank cathedral in the Armenian Jolfa district, with afterwards the most delicious (and thickest) hot chocolate in the world. Everything was even more appealing to the imagination in Esfahan by the explanations we got from our great guide Peshman Azzizi. 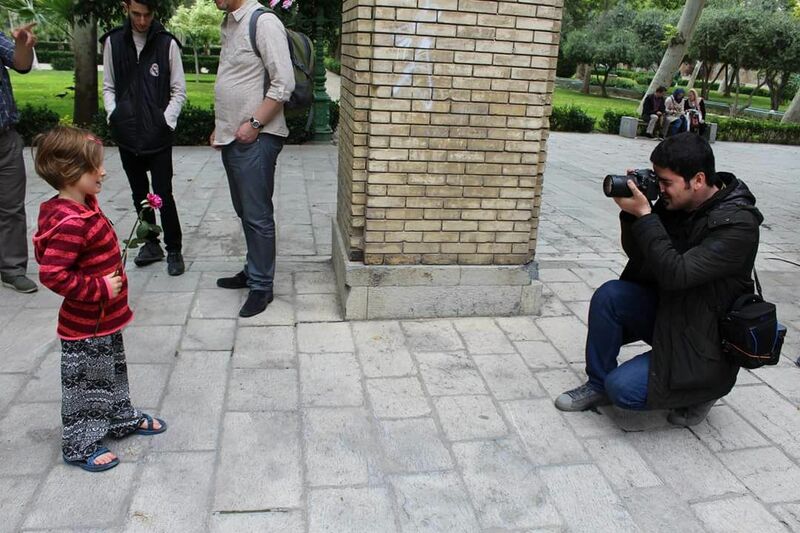 Again, in Esfahan we had lots of nice contacts and ‘ photo moments ‘ with Iranians. From Esfahan we travelled to Kashan for our last night. In Kashan we bought souvenirs (oil lamps) and visited a hammam and a beautiful 18th century merchant house. 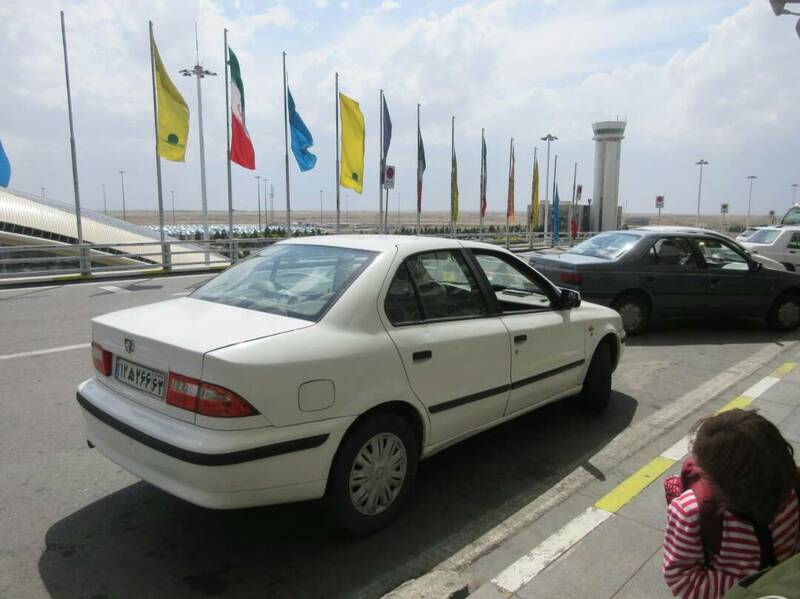 The next day, unfortunately, we had to go back again to the ‘ IKA ‘ airfield of Tehran. On the way we bought delicious pistachio biscuits and had a farewell lunch with Mohammed our driver. He was sure that we would come back again. We have that feeling too; The goodbyes made us really grief. 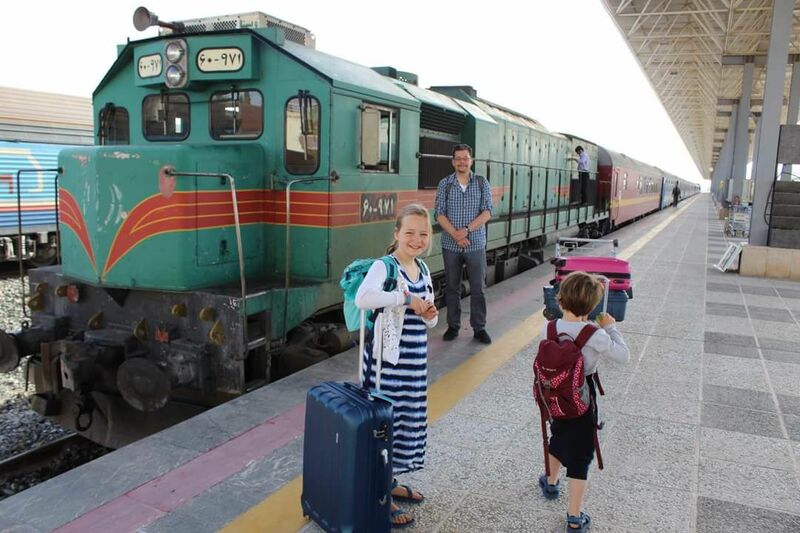 We felt safe and comfortable throughout our entire journey in Iran. Of course, you have to surrender in traffic to the driver’s knowledge and all other Iranian drivers, who must have a great deal of confidence in each other, in view of their driving style. The main thing is that we had a great Persian journey with our family and we have never experienced a holiday with such a friendly and interested population as in Iran. Next time we would like to take a less classical route, with some more nature, perhaps by the sea (Persian Gulf or the Caspian Sea) and a longer stay in the desert. Anyway, there is still a lot to discover in Iran. We just got a corner of the veil for ourselves, in a beautiful may holiday.